36 people are suspected of 'terrorist endangerment of the constitutional order and security' in connection to the events of 27 April 2017 in Parliament, the Public Prosecutor's Office says Tuesday. "The basic public prosecutor's office tasked with prosecuting organized crime and corruption after concluding all actions to establish facts in relation to the events that had taken place on 27 April 2017 in the Parliament of Macedonia has completed its pre-trial procedure," it says. According to a press release of the Public Prosecutor's Office, after reviewing and analyzing evidence, the basic public prosecutor's office tasked with prosecuting organized crime and corruption has ordered a launch of investigation into thirty-six people suspected of terrorist endangerment of the constitutional order and security in line with Article 313 of the Criminal Code. Former interior minister and head of the Public Security Bureau, Mitko Cavkov was detained early on Tuesday after the public prosecution had issued a warrant for his arrest. Dozens have been also arrested, the Interior Ministry told MIA. 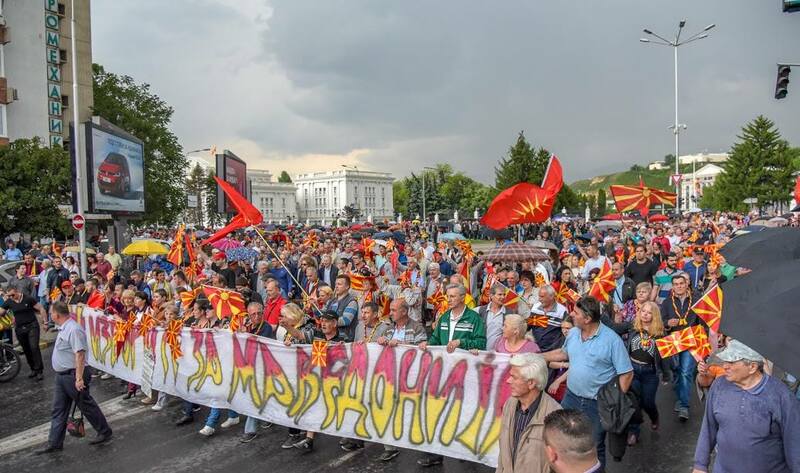 Court sources told MIA that several other individuals are also brought before a judge for a preliminary procedure who acts upon a written submission from the Basic Public Prosecutor's Office regarding the April 27 violence in the Macedonian Parliament. Mitko Cavkov during the Parliament incident in April served at the helm of the Interior Ministry operational HQ. The Ministry of Interior’s lower structures said that he hadn't issued an order for police action for two hours by which he put the life of lawmakers and journalists at risk. Besides Cavkov, MPs Krsto Mukovski and Zaklina Pesevska, actor Vlado Jovanovski, Goran Angelov - Kjoseto from Veles and former director of the Health Insurance Fund Saso Stefanovski are also detained. On 27 April 2017, protesters, supporters of the For United Macedonia movement, stormed the Parliament's building shortly after Talat Xhaferi was elected Speaker of the Macedonian Assembly. The storming took place when masked men were allowed to enter the premises of Parliament by several VMRO-DPMNE MPs after opening its doors. Some dozen SDSM MPs, including the incumbent PM Zoran Zaev, were injured by the violent mob.